so This Thursday 21st June is the first official day of Summer!!!!. Hurrah Long summer days ahead , hopefully plenty of sunshine too. Summer is actually a busy one here at Mis-Fit HQ. We have lots going on over the summer. Though I am taking a little holiday 20th August – 28th August , so classes during this time. Just a reminder , I am also away next weekend so no classes Thursday 28th June- Monday 2nd July. Classes will be back Tuesday 3rd July. I will also be away Saturday 21st July. 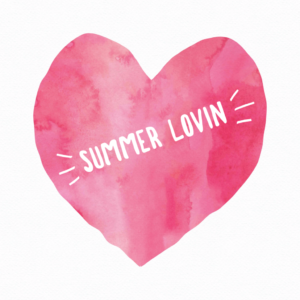 Our Summer Programmes – below is our list of happenings over the Summer, including our Pilates and Prosecco events, our Summer yoga Club for the little ones and our Small Group training programme over the summer. Plus our Summer class timetable. 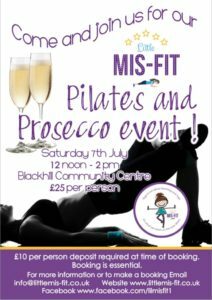 Come Join us for our Pilates and prosecco event . We will do an hour or so of Pilates and then crack open the Prosecco and enjoy a glass or two or three . A little Summer Soiree . Just £25 per person. A £10 deposit is required at time of booking , and the remaining £15 can be paid on the day in cash or beforehand via Bank Transfer. 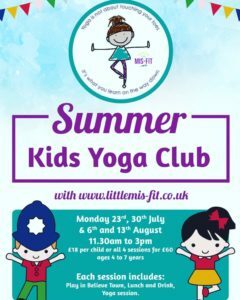 We have joined forces this summer with our friends at Believe and Be, to offer a Summer Yoga club for kids age 4-7. I know some of you mams struggle with childcare over the summer holidays and/or just need something to keep them entertained and keep your sanity intact haha. Monday 23rd July, Monday 30th July, Monday 6th August and Monday 13th August 1130am-3pm. £18 per child per session or prebook all 4 sessions for just £60. Drop them with us at 1130am , they will then get a 90 minute session in Believe Town, followed by a picnic lunch (provided) and then Yoga/crafting session. You can them collect them at 3pm. spaces are limited , so do please book asap to guarantee a space. 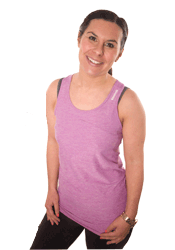 our Summer small group Fat burning programme will also run over the summer. Saturday 7th July – Saturday 18th August. £100 for the 12 sessions. If you want to feel fitter, healthier and stronger, Our Small group programme could be for you! . 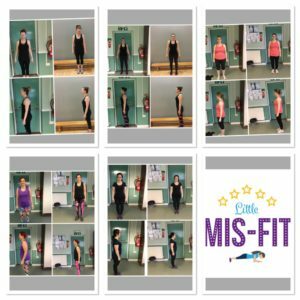 Private facebook group to encourage and motivate each other. We also have our Virtual classes running, if you would like to sign up for July , drop me a message. £10 per person per month and you will get access to our online class programme. Two new weekly at home workouts added each week!. Classes will run subject to minimum numbers. 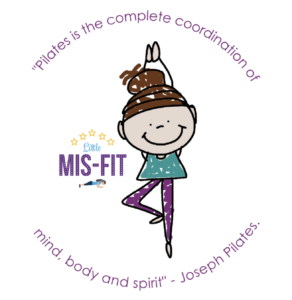 To book for any of our programmes or classes, then just drop us a message via our Facebook – www.facebook.com/lilmis-fit1 or Instagram- @littlemisfitjojo or Via email – info@littlemis-fit.co.uk. Wishing you all all the most magical , warm Summer!. May it be filled with adventure, sunshine and lots of happy memories.